We all want to make a memorable first impression, and the appearance of your company’s website is no exception. Think of it as the face of your company—a way to present yourself in a way that will either encourage the visitor to continue reading, or move on to your competitor. The online world only provides a limited window of opportunity to capture your audience’s attention; is your website rising to that challenge? At Clicc Media, our web design services are tailored to engage the right audience for your business. Whether you’re looking for a polished, corporate-friendly website or a more casual and entertaining platform, we’re here to make your vision come to life. Already have a website? Get a better understanding as to why your not getting enough traffic or converting. Would you be interested in a web redesign quote? We create websites on a WordPress platform that are designed to provide a simple and enjoyable user experience across several browsers. Because exposure is key, all of our web design packages include basic search engine optimization factors to help boost your website’s search ranking. We take the time to research and optimize every image added to your website to guarantee only the highest quality and appeal. 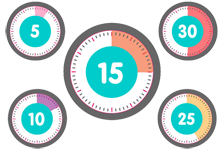 We’ll take care of any factors that could slow down the performance of your website, giving your audience quick and easy access to the information they seek. Consider us an investment and not just another cost. You are investing in our skill, our knowledge, and our experience; and our goal is to provide you with a return on that investment plus more. A responsive and fast WordPress design which will always adapt to any of your customers screen sizes and one that will never keep them waiting. 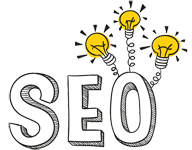 On-page SEO factors that will help you target your niche market and provide signals to Google to let them know who you are and what you do. Implementation of conversion factors with tracking to make it easy for your visitors to generate an action on your page. The tracking will be done for you in the backend via Google Analytics so you can see what services and pages are generating more calls and/or contact form submissions. Content writing that will focus on connecting on an emotional level with your visitors and clearly addressing questions and concerns they hold. Stock images to provide compelling and/or relevant visual elements to your pages. Professional photography is also available at an extra cost. For every website created, we will donate a portion of the proceeds to Pencils of Promise to open a school. You’ve Got Potential - Make it Known. 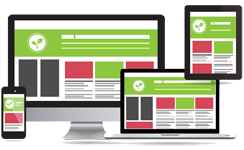 Your website should be an instant reflection of the quality services your company can offer. Let us help you make that first impression an unforgettable one. We work with businesses in both our native Pembroke Pines, FL and nationwide. Contact us today to discuss your web design and internet marketing needs.